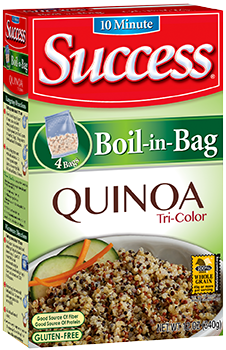 Looking for delicious 'flavor booster' ideas for Success® Tri-Color Quinoa? 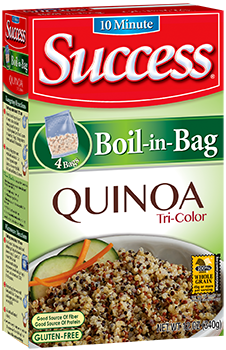 Prepare Success® Tri-Color Quinoa according to package directions adding any of these ingredients to the water. 2 chicken, beef or vegetable bouillon cubes; or, 1 tablespoon of granules. 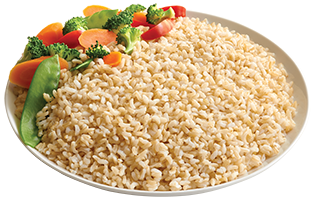 Try preparing Success® Tri-Color Quinoa, then adding honey, agave, or brown sugar for a quick breakfast idea. Or, stir in your favorite salad dressing or marinade for a quick side-dish recipe.